The February “A heart for the arts” edition of 501 LIFE will be highlighted on KARK Channel 4 during the 12:30 p.m. news show on Tuesday, Jan. 29. Each month, 501 LIFE co-publisher and editor Sonja Keith presents information about the current edition as it hits the streets. “This month, 501 LIFE is all about celebrating the arts,” said Keith. 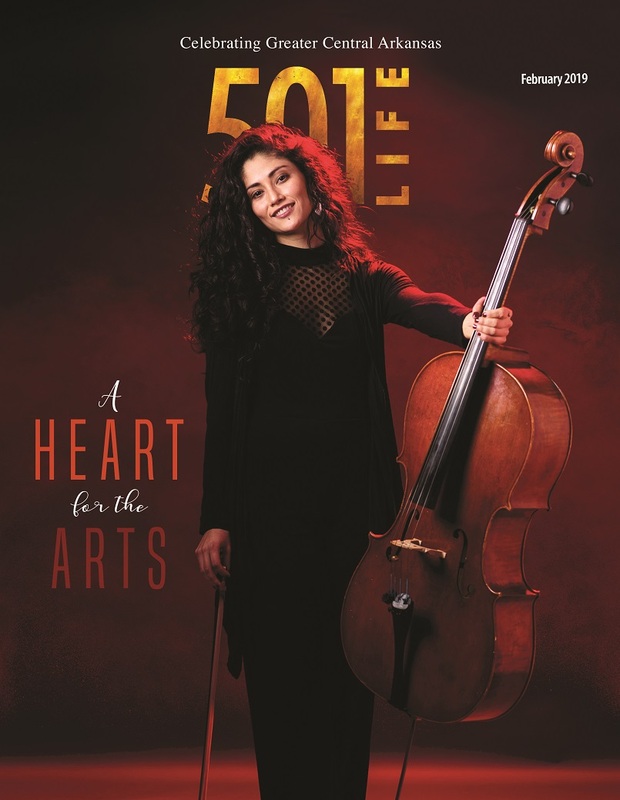 “For our cover story, we feature the incredible Conway Symphony Orchestra, its diversity and how the musicians – like Selva Aliss of Bolivia pictured on the cover – are sharing their talents. Vicki Crockett, CSO general manager, will join Keith for the segment. Person of the month – Amanda Horton is the director of the Reynolds Performance Hall at the University of Central Arkansas. Feature – Nicole and Gene Hatfield shared a special love story that still resonates today. Neighbors – Outgoing Maumelle Mayor Mike Watson recently reflected on his 12 years at the helm. In her monthly “Traveling the 501” feature, Linda Henderson presents photos and information about painted quilt squares located throughout the area.